Greetings! 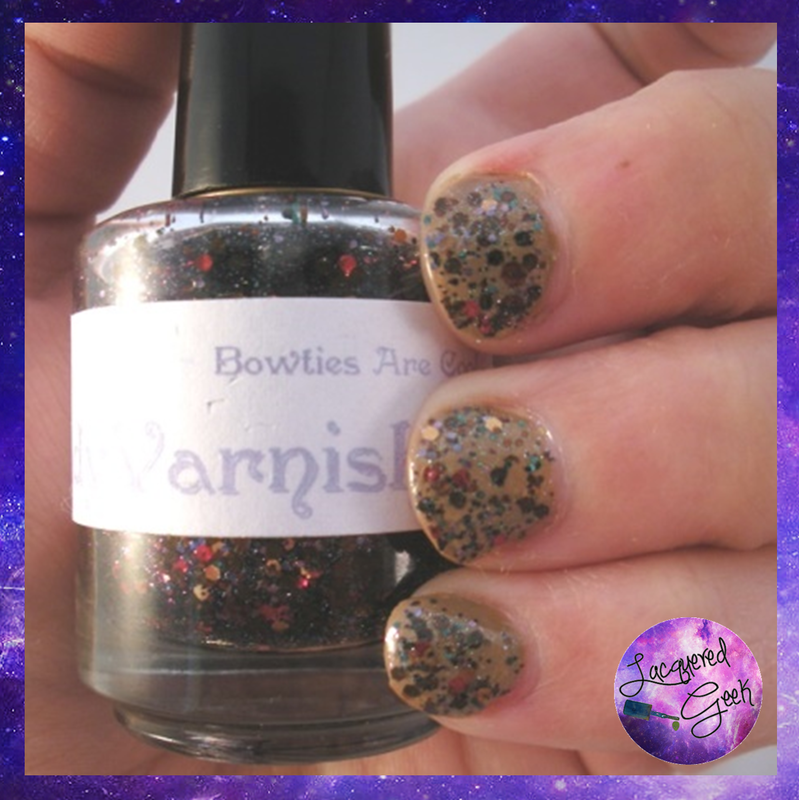 Today, I have another Doctor Who inspired polish for you, "Bowties are Cool" from The Lady Varnishes. This polish was from the "Bigger on the Inside" collection. 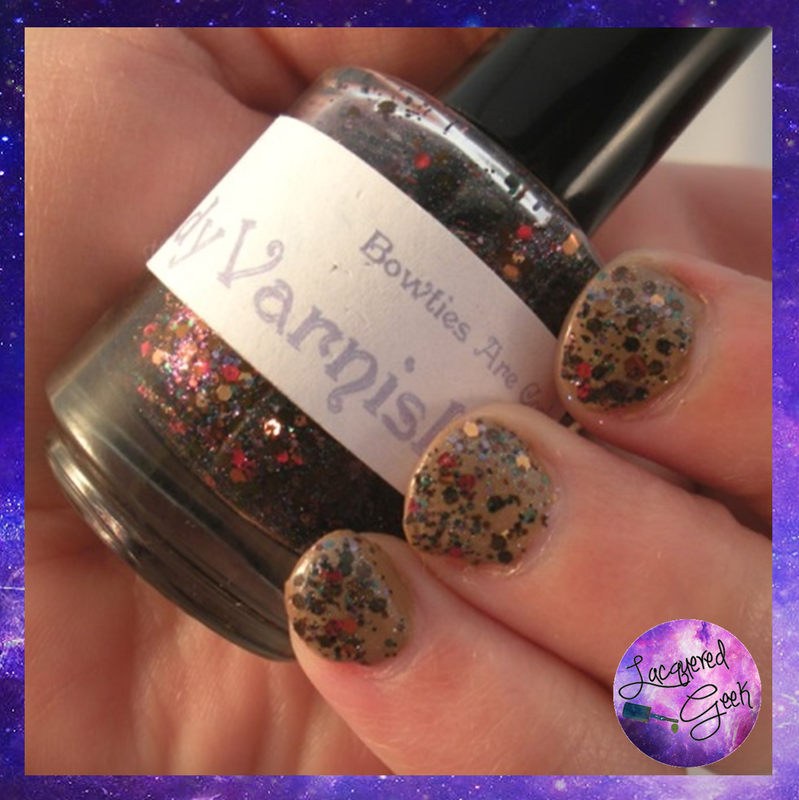 This amazing collection was made up of glitter toppers that were inspired by each of the eleven of the Doctors! Bowties Are Cool has a clear based filled with purple and green microglitters, and red, gold, and brown glitters. 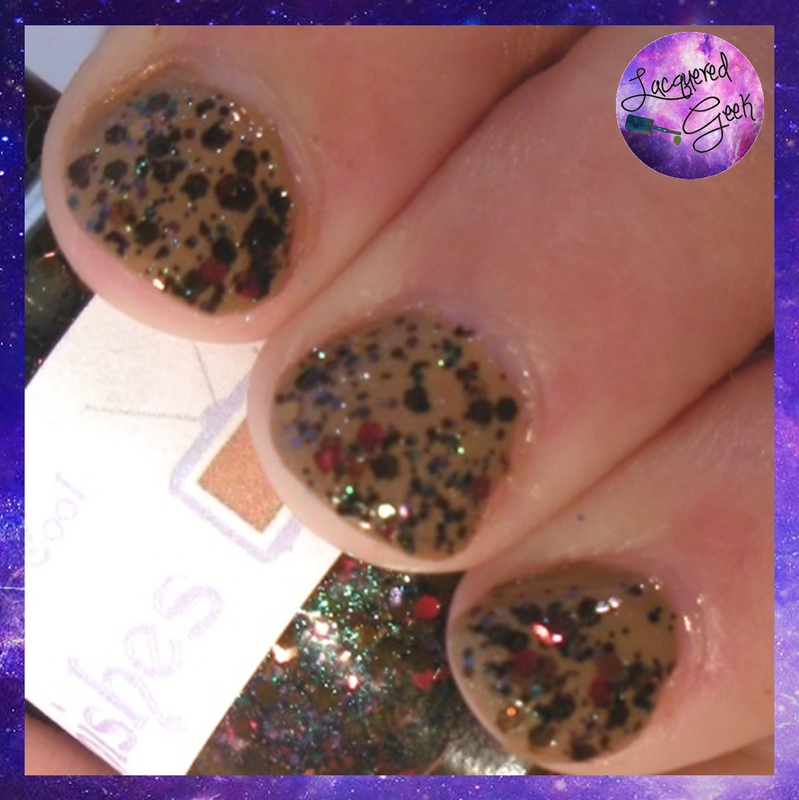 The formula was perfection; easy to apply with a fantastic glitter payoff - exactly what I look for in a glitter topper! The photos below show 2 coats dabbed over Zoya Flynn. 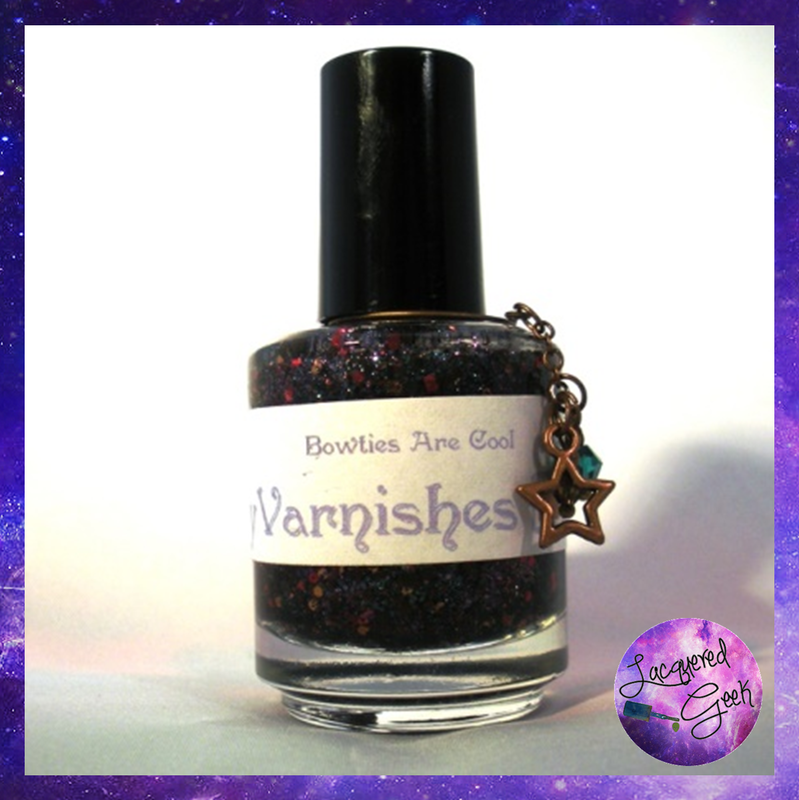 You can also add a scent to your polish, and you can chose what type of charm comes on the bottle. Unfortunately, Bowties Are Cool is no longer available from her shop, but there are others from the "Bigger on the Inside" collection that you can still purchase! Her polishes range from $9.00 to $13.00.